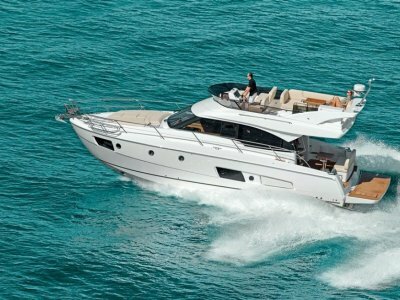 Masters 44 Flybridge, Cummins Powered, Low Hours, Just Painted, Just antifouled and prop speeded, two cabin two head, sleeps 6, perfect for extended trips away with the family. Given the work that has just been completed this boat is looking good and ready to get out on the water with no fuss. 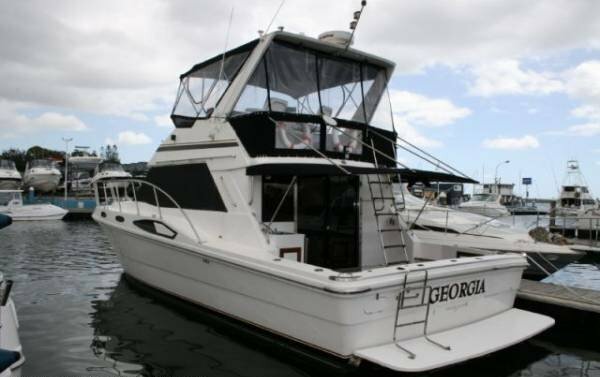 The negotiable owner is willing to look at offers on this vessel and would like to upsize to a Powercat. Trades will be considered. 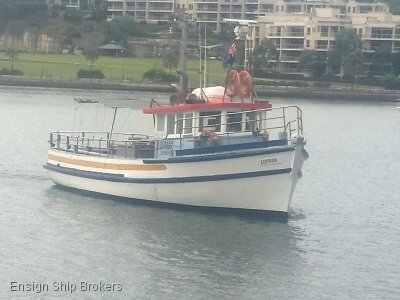 Call Ensign Ship Brokers Mooloolaba office for further details or to book an inspection. SALOON: Warm and inviting, this huge saloon area is beautifully presented with cream leather fabrics and polished timber throughout. 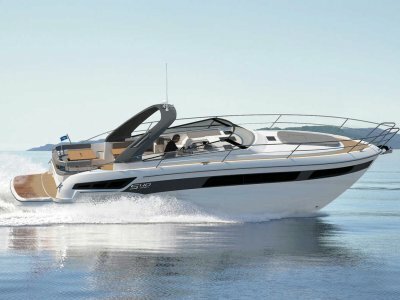 Leading straight onto the aft deck she has that perfect saloon arrangement that capitalizes on those outside areas, and with a single helm flybridge she provides plenty of relaxing room with no interruptions! 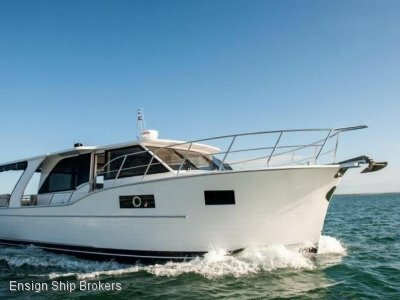 With accommodation for up to 6 adults provided through two cabins + convertibles, all of those fishing trips with the boys or those long weekends away with the wife will be catered for! Focusing mostly on owners comfort, the master cabin has a large and inviting double with a second guest cabin located adjacent! LAYOUT: Located mid ship down and perfectly catering for the saloon and cabin areas, the galley area is versatile and attractive and is well equipped with twin sinks, full size refrigeration, 4 plate electric hotplate hob and ample of bench space and storage throughout.